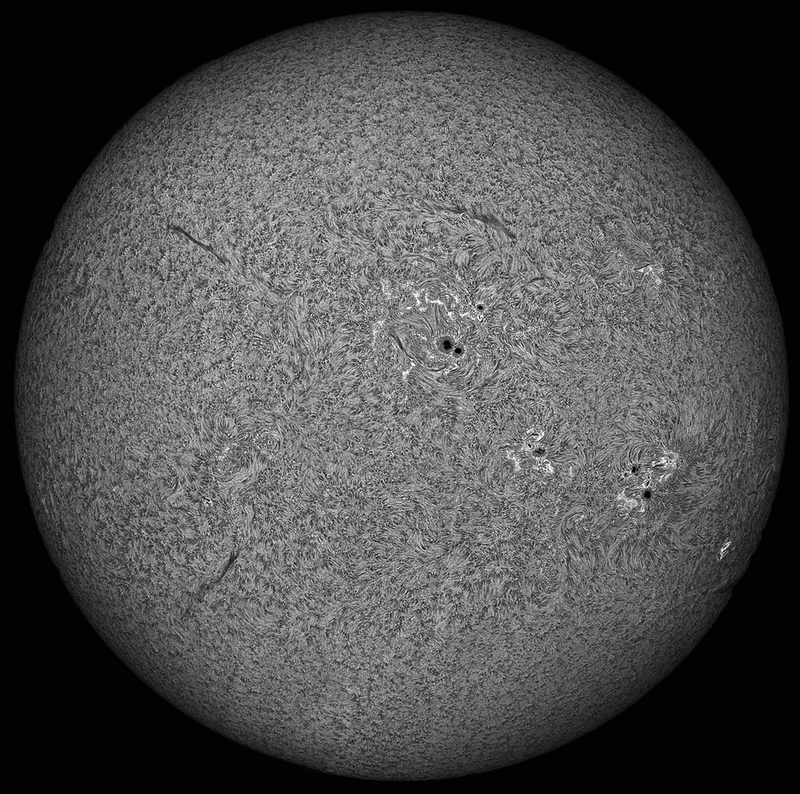 This solar disk is the composite of 32, yes 32 frames, at the prime focus of Lunt152 and DMk21 camera.. it took time to get all the data i needed for this complete solar disk. Photoshop has been specially kind to me in making of this big solar picture. 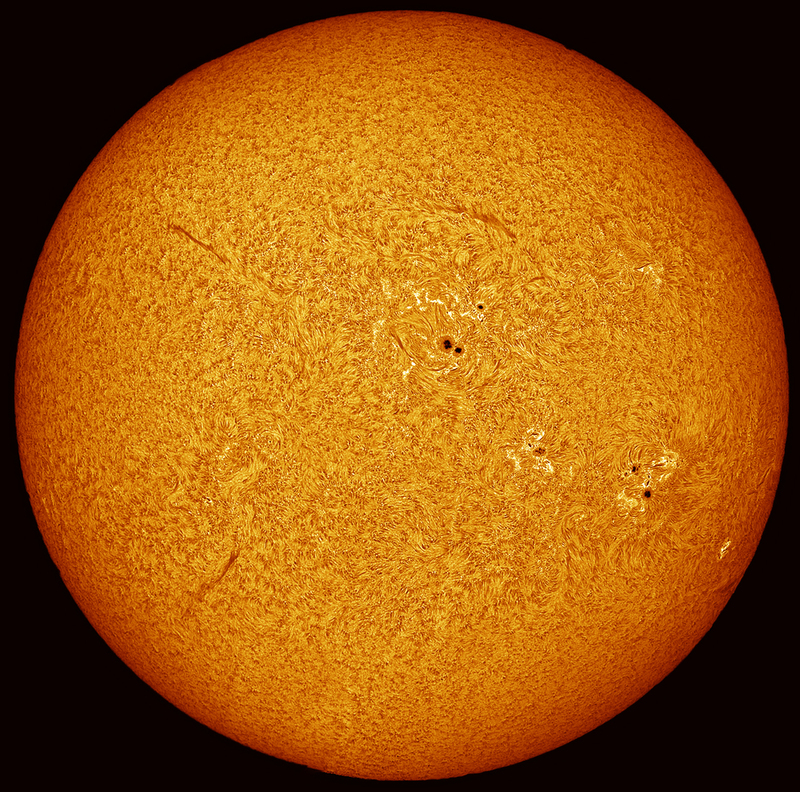 The prominence image is the composite of two frames, one for the prom and the other for the disk area.